SnapMD, a full-service enterprise telehealth technology innovator and solutions provider, announced that the University of San Diego (USD) Hahn School of Nursing and Health Science has selected the Virtual Care Management (VCM) telehealth platform as the foundation of its competency-based telehealth curriculum. For the course “Telehealth and Emerging Technology,” SnapMD’s full-stack platform provides a complete solution for students to experience real-time virtual visits with all the tools needed to manage and engage patients during the diagnostic, active treatment, and follow-up phases of care. Telehealth has become a standard modality in healthcare and continues to innovate, connecting the care continuum and healthcare enterprise. 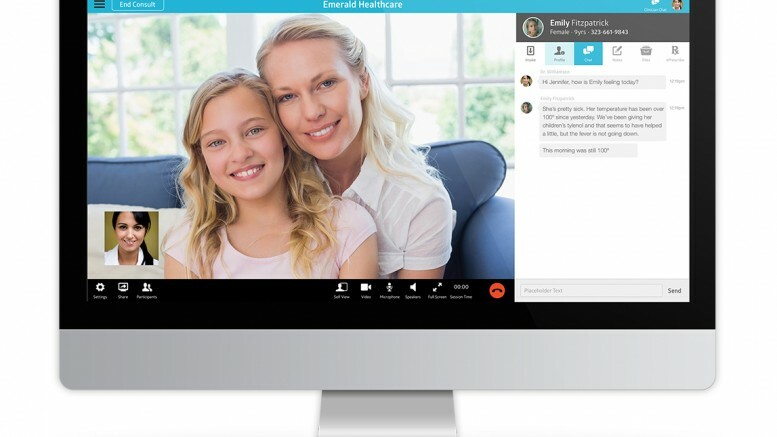 To support this continued innovation, USD structured its telehealth curriculum around SnapMD’s VCM platform, as it offers a single suite of scalable enterprise software that gives providers all the tools needed to deliver virtual, high-quality, and coordinated care, as well as offering healthcare operators tools they need to manage their telehealth service lines. For increased experience and telehealth understanding, the Hahn School of Nursing built the Beyster Institute for Nursing Research, Advanced Practice, and Simulation. Within the Institute is the Dickinson Nursing Simulation Center (DNSC), a state-of-the-art facility that replicates hospital and clinic patient rooms. The DNSC is one of only six fully accredited simulation venues in California. The Institute also houses a patient apartment for on-site or virtual patient visits. The VCM platform then empowers students with hands-on training as they conduct and experience virtual visits for knowledge in telehealth etiquette and professionalism, skills to use remote patient monitoring tools, understanding of privacy/protected health information regulations, interprofessional collaboration for telehealth technologies, and more. “Telehealth is an emerging area of healthcare that is shown to not only expand access to care but provide care at a lower cost. Many health systems are either implementing or readying to implement telehealth systems, which provide hands-on opportunities for our Health Care Informatics program graduates. By equipping our students with proper telehealth training through SnapMD’s VCM software platform, they will be better equipped to deliver care as they emerge as future nursing leaders,” said Dr. Jonathan Mack, director of the Health Care Informatics and Nursing Informatics programs. SnapMD’s VCM platform includes all the features and functions needed to practice any form of medicine suitable for telehealth and was designed specifically for healthcare providers to launch a virtual medical clinic and robust digital exam room. The cloud-based VCM platform acts as a digital hub for scalable virtual care and consequently enables more efficient interaction between healthcare providers and patients with advanced scheduling capabilities, rules-based workflows, and single sign-on capabilities – simplifying and empowering the provider and administrator digital workflow experience. For more information on SnapMD’s Virtual Care Management platform, visit www.snap.md.